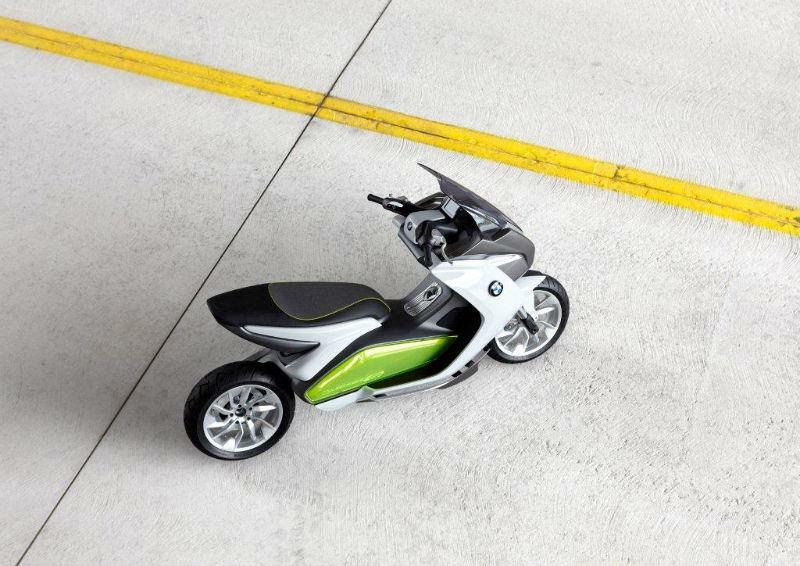 BMW has unveiled this new eScooter concept which for the first time promises performance and range that could make an electric scooter viable commuting transport. 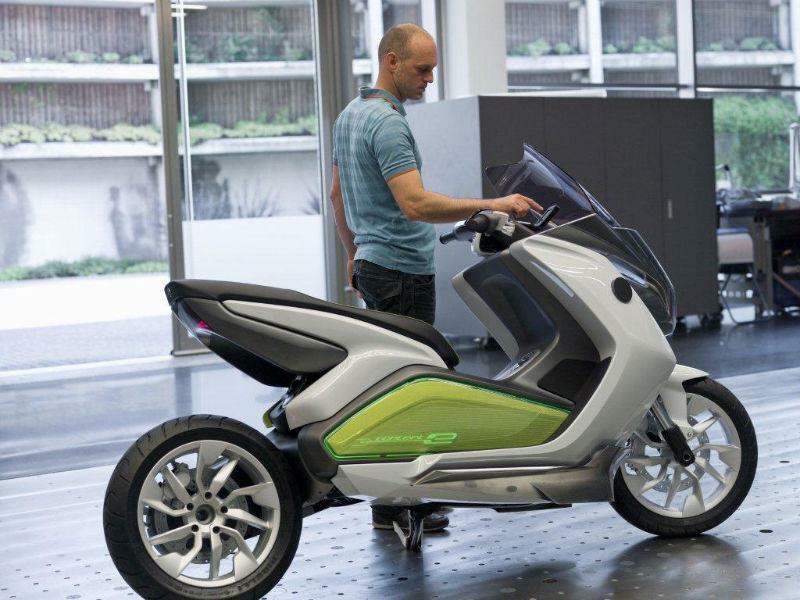 From the beginning of the eScooter concept development BMW says it was benchmarking the range and performance, even with a pillion on board, of a 600cc scooter with a traditional internal combustion engine. That means acceleration in the zero to 40mph range, a claimed comfortable cruising speed of around 70mph and a 60 mile range between charges. BMW claim the battery can be completely recharged from empty from a normal UK plug in just three hours although testing has shown the battery rarely gets completely flat and therefore charging takes less time. 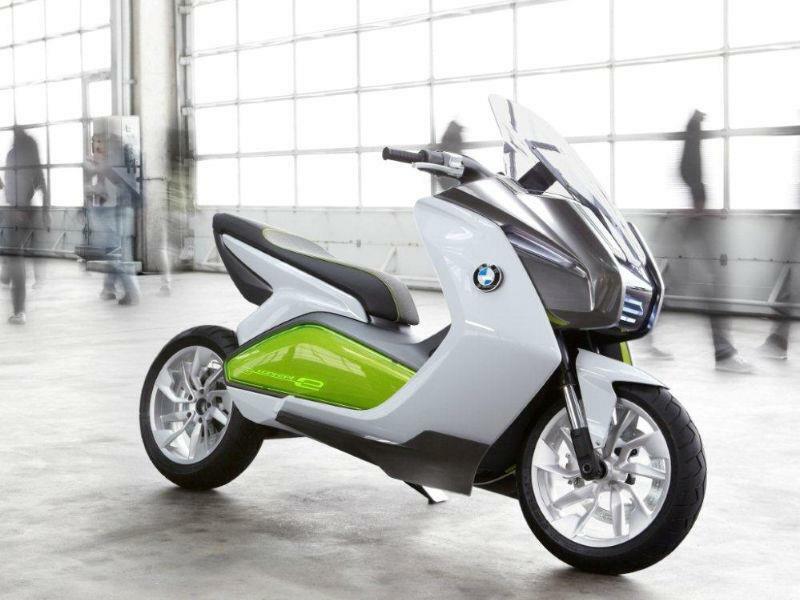 There are some clever design elements to back-up the futuristic styling which sees the eScooter being part of the new range of BMW i vehicles which includes a small car called the i3 and a supercar called the i8. All will be launched this week at the Frankfurt Motor Show in Germany. 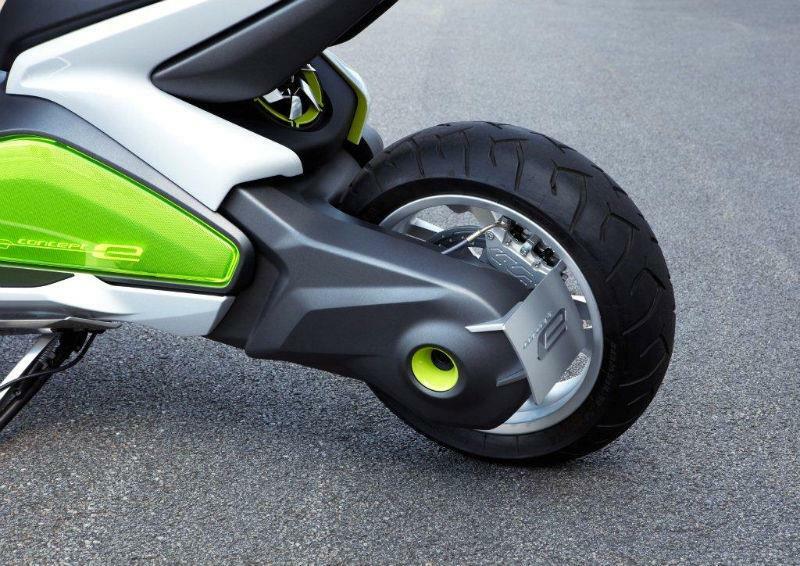 The main innovation on the eScooter is the use of the aluminium battery pack as a stressed element of the chassis of the scooter; in fact the battery pack is the chassis. Not only does it contain the battery pack but also all of the electronics controlling the power output. The steering head is bolted directly to the battery case with the swingarm and horizontally-mounted rear shock also directly connected to it. 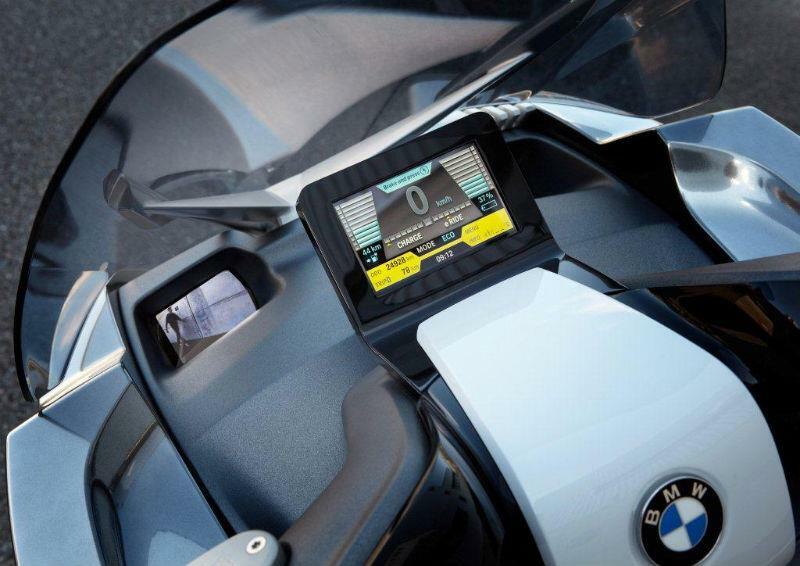 BMW has also employed some innovation in the actual electrical drivetrain to include regenerative charging on a closed throttle which can boost the vehicle range by between 10 and 20% depending on the way the scooter it ridden. 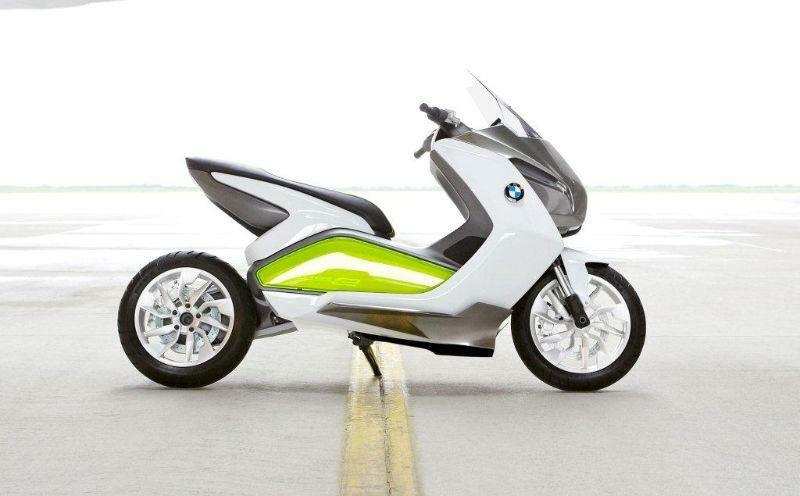 BMW states: "Due to its high output, the eScooter has no hub motor with direct drive or planetary gearbox. Instead, the high-performance electric machine is mounted behind the battery casing. The secondary drive consists of a toothed belt from the electric machine to the belt pulley mounted coaxially on the swinging fork pivot with drive pinion. From here, power transmission occurs via roller chain to the rear wheel. "The electrical components required for the electric drive are installed on the top of the battery casing. The external battery electronics system permanently collects and monitors data such as the temperature and voltage of the battery cells, both during travel and while charging."